BlackBerry has reported a net loss of $84m on revenue of $3bn in its first quarter, compared with the $518m loss for the same quarter last year. The revenue breakdown for the quarter, ended 1 June 2013, was approximately 71% for hardware, 26% for services and 3% for software and other revenue. During the quarter, BlackBerry stated it had shipped 6.8 million smartphones and approximately and 100,000 BlackBerry PlayBook tablets. 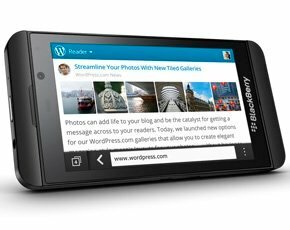 The results failed to report the number of the company’s flagship Z10 smartphone sold. BlackBerry shipped one million Z10 devices in the final quarter of its fiscal year 2013. BlackBerry president and CEO Thorstein Heins is banking on its latest platform, BlackBerry 10, to save the company over the coming year. The results come a few days after the company announced it was extending its BES mobile device management (MDM) platform to Android and iOS. But Apple too made a move to make its new operating system iOS7 attractive to businesses on release in Autumn, with updates to its MDM solution and document-sharing capabilities.